Cover FX Custom Cover Drops – Believe the Hype? 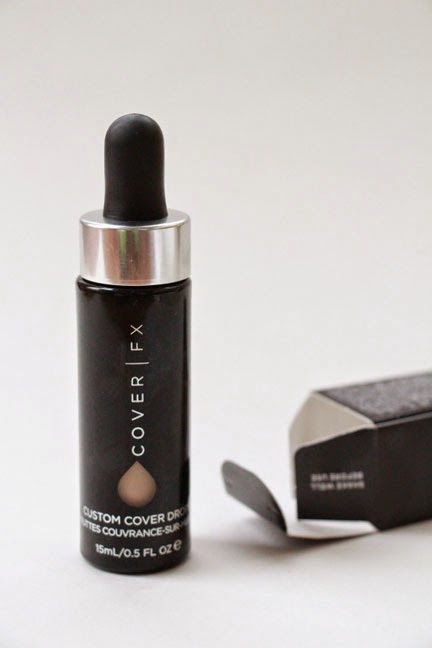 I wanted to discuss the new Cover FX Custom Cover Drops today since they are available at Sephora and I’m guessing you may want to give them a go during the VIB sale, which ends today. I’m not going to lie. I haven’t been using this new innovation in coverage too long (they are not the first to do this; Ardency Inn has a similar product), but I feel that it has been long enough (a few weeks) that I can give you a good solid opinion of it! So, without further ado, let’s drop some dirt on the new Cover FX Custom Cover Drops. Firstly, what the hell are “Custom Cover Drops?” This is a new concept that is basically pure liquid pigment that can be added to anything in whatever quantity suits your fancy. You can mix the drops with a facial oil, a primer, a moisturizer, a sunscreen, or even another foundation for more coverage or to adjust the shade. Basically anything that you would put on your face that’s not a powder can be blended with the Custom Cover Drops for yourperfect foundation. I absolutely lovethis aspect of the product. I’ll get into it more in a sec. In addition to matching your skincare needs, you can adjust the number of drops to create your perfect coverage level! 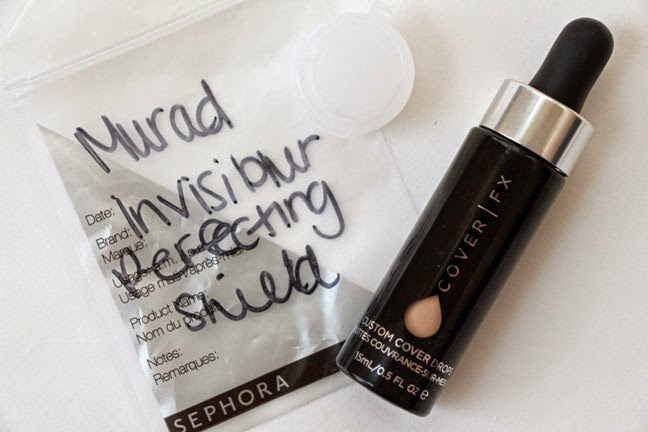 You can use just one drop for sheer coverage, or 4-5 drops for full coverage. Another aspect about the product that I totally adore! Can you tell that I love this stuff?!?! So, why do you need this little gem from Cover FX? Aside from it’s serious amazingness, there is no way that it can’t work for you! Well, if you want one bottle to grab, slap on and go, it is probably not for you. Then again, if you try it, you might change your mind! But if your skin care changes throughout the year, this is perfect! No need to worry about having a foundation for drier days or oilier times. If you need varying levels of coverage, say for the quick trip to the gas station or a more flawless look for a big event where lots of photos are being taken, this is perfect! One product really does fit all! 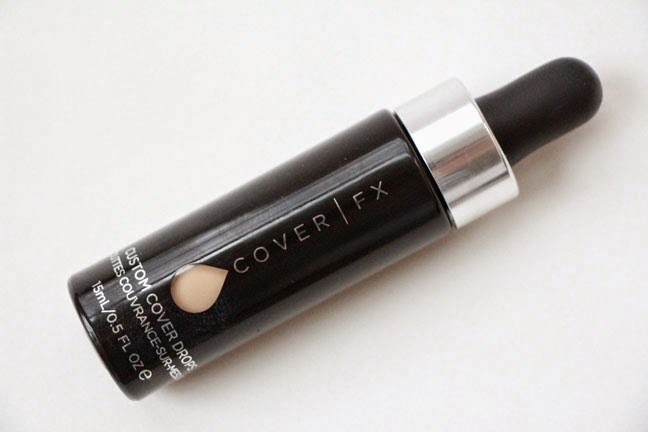 You don’t need to worry about finding a formula that’s right for your skin, but then not loving the coverage…or the shades available because Cover FX has virtually everything when it comes to shade range (more on that in a bit). This little bottle of pigment really can do pretty much everything. You would think something that can do all of that would have a catch. Really, the biggest catch I can find is that it requires you to mix it with something else. But when it’s something else that you already use, I don’t find it troubling at all. Not to mention, it blends together in about 2 seconds. Seriously, I have yet to find fault with these wonder drops! This is enough for my entire face! As I said, it mixes with anything for a custom coverage level, but how does it look and how does it wear? Freakin’ fantastic! 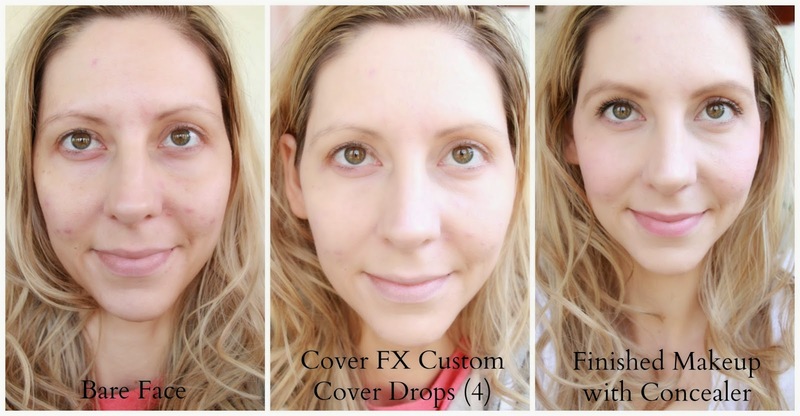 I’m not quite sure how this is possible, but even using 4 drops for full coverage gives a nice even look that is not at all mask-like and, dare I say, even still looks like just skin. It literally looks and feels like natural skin, but without the uneven tones of naked skin. I swear, somehow you can still see skin through even the higher coverage. It’s wonderful! Since you customize what you mix it with, if you want it to be dewier, add the drops to a luminizer of some sort. Need matte coverage? Use a mattifying primer. It’s perfect for yourskin regardless of what you need. And it wears beautifully! 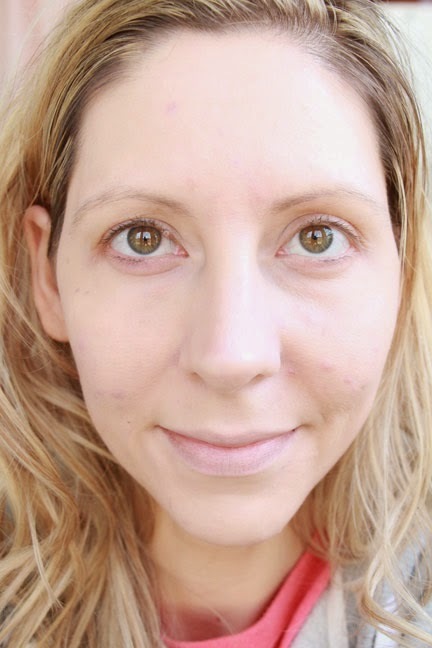 I find that my skin gets a tad oilier throughout the day (which is normal for me), but it still looks much like it did right after application. It stays put and it feels like nothing more than your usual skincare or primer. It’s truly wonderful! All of that said, it does not cover really intense spots. 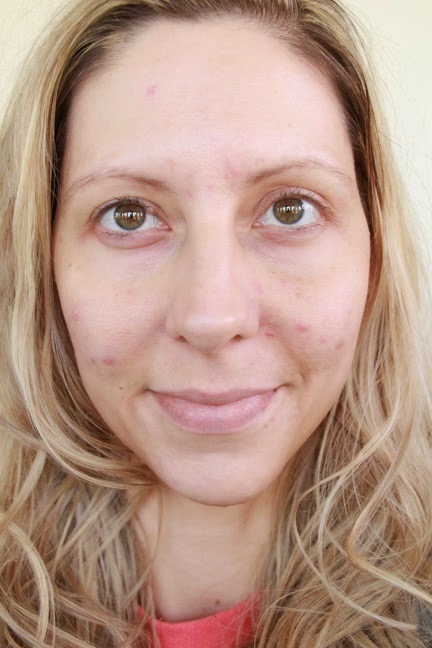 As you may have seen in my Skin Care Game Changerspost, I have some raised bumps and some residual redness from acne-scarring. It cannot hide these things, but I don’t know of any foundation that I have tried that does. Even straight out of the bottle it will not completely cover these issues (well, nothing can cover a texture issue). It helps, but doesn’t eliminate. I should add that when I have applied this direct from the bottle in small areas, it still looks spectacular. I’m not sure I would recommend doing that for the whole face, but I can’t say I have tried it either. Just keep in mind that if you ordinarily require a concealer for spots and/or dark circles, you will still need to include those in your complexion perfecting routine. As far as texture, dryness and oiliness are concerned, these drops don’t add or detract from such issues. What makes the difference is what product you combine the drops with. 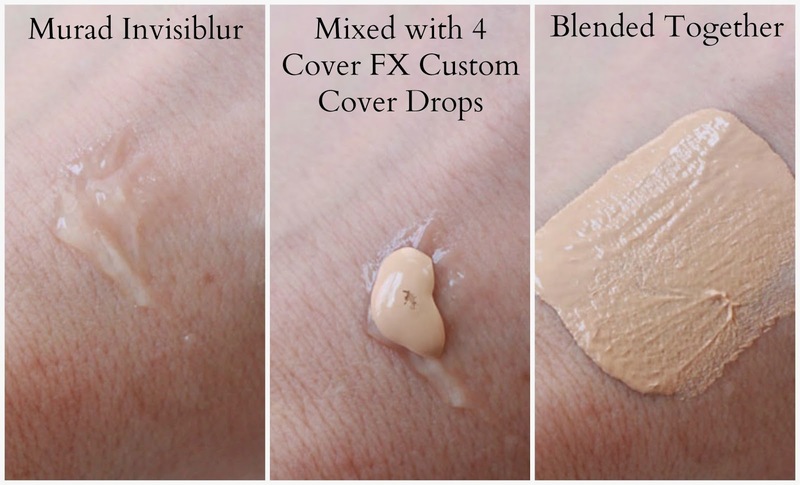 Basically, if you use a pore minimizing primer that you already find to be beneficial, it looks similar but with added coverage when applied with the Custom Cover Drops. The same goes for dryness or oiliness. I haven’t seen dry areas appear worse after adding the coverage, nor do oily areas shine brighter after adding the pigment. What you mix it with is definitely the main determining factor in how this product will act on your skin. Now for the specs on the Cover FX Custom Cover Drops. Firstly, not only are Cover FX products cruelty free, but they are also vegan, so vegans rejoice! J There are 24 shades available! They are broken into Pink, Gold, and Neutral undertones and then into shade depths from very fair to quite deep. I have the shade N20 for reference, though N25 is also a pretty close match. I believe it is a glass bottle with a screw-on dropper top that willonly dispense a single drop at a time without much trouble. You need to shake the product before using and you’re going to want to place your “mixing medium” onto your hand first, then add the drops. Each bottle contains 0.5 fluid ounces and retails for $44 on the Cover FX website and from Sephora. So that’s it. I’m a big fan of the Cover FX Custom Cover Drops! I’m not usually one for faffing around with mixing and blending and anything extra in the mornings, but this is so worth it – I actually find it kind of fun! JI love trying differing levels of coverage and seeing the results with different base products. I am so pleasantly surprised that you really can add coverage without altering the original product too! Being someone who is always seeking my ideal foundation, I think I have finally found the answer! 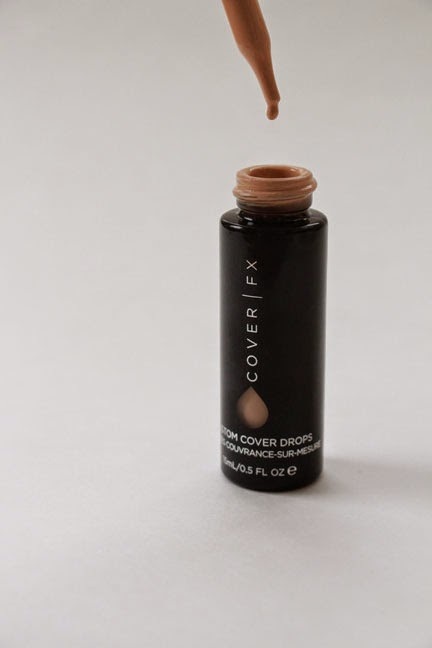 Custom Cover Drops from Cover FX allow you to customize whatever you want into yourperfect foundation. A truly wonderful, miraculous, phenomenal, glorious…you get the idea!…creation! Thank you so, so much Cover FX for the ever-so-amazing Custom Cover Drops! 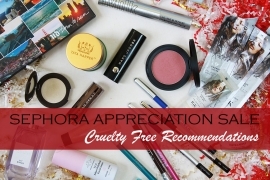 Sephora Beauty Insider Appreciation SALE – Cruelty Free Picks! 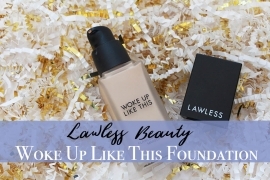 Lawless Beauty Woke Up Like This Foundation Review – Clean Beauty That Performs? 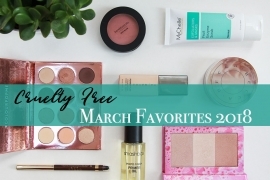 Insanely Late Cruelty Free March Beauty Favorites! i'll need to check this stuff out after i get through all of the IT Cosmetics CC cream i've stocked in my stash. thanks for the great review! Ooh, I don't know if I'd want to shell out $44 for this and then do all that mixing (I'm so lazy, haha) but this sounds amazing! I love the idea of building a custom foundation formula depending on your daily needs. I want this so much! I feel like it would be a great product for makeup artists! 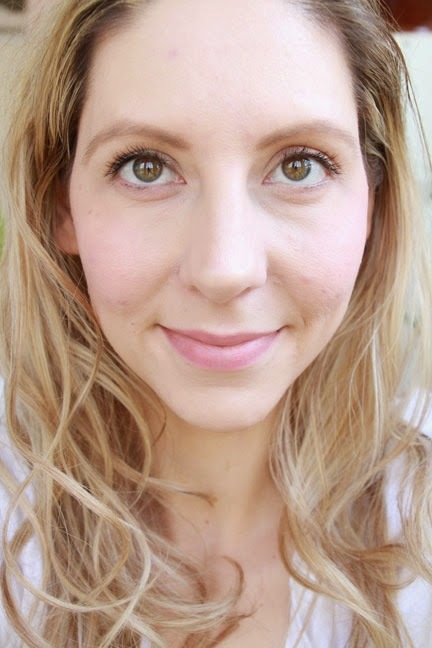 My name is Christine and I love trying out all things in the world of cruelty free beauty. Just call me your Makeup Guinea Pig! This blog is where I report my findings...with the occasional unrelated topic. I have accepted that I am a crazy cat lady - hard to deny when you have 5 cats! I keep things balanced with 1 lonely and confused dog. His name is Barclay and he is a West Highland White Terrier. We all live together in a cloud of pet hair that follows me wherever I go! New Urban Decay Lo-Fi Lip Mousse – Cruelty Free & Vegan! Cruelty Free July Beauty Favorites – Rahua, ColourPop, Volition & More! © 2017 MakeUpGuineaPig. Designed by ThemeSphere.